"Hi is Collette there? It's Colletteee!" Sorry the post is SO late, it's been a manic week! 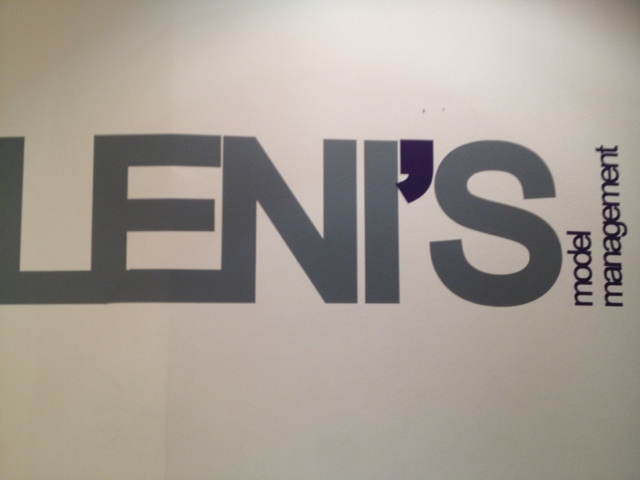 So this was my last week at Leni's - I can't believe it has gone so quickly. 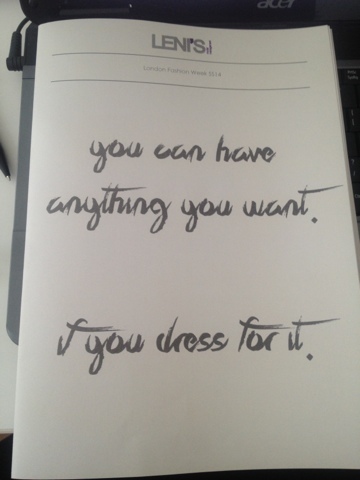 This week was all about preparing for Fashion Week and learning everything I possibly could. 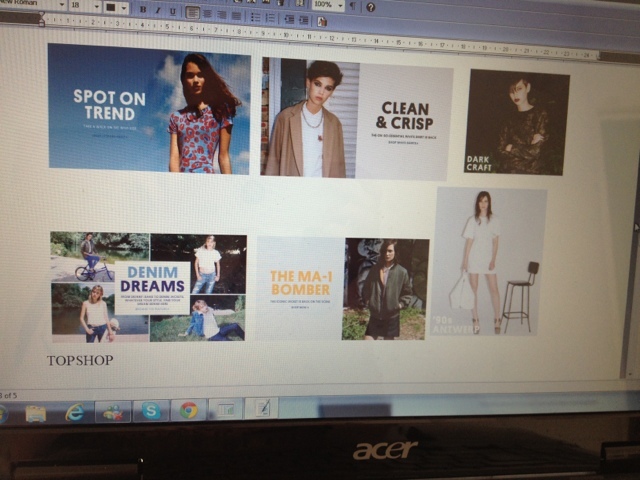 Livvy asked me to research stores or brands that have their own magazine - the free ones you can pick up in store - and create a LookBook/Moodboard of the girls featured in it before. I was asked to make a list of girls I thought would fit each brand. It's a really good opportunity to be creative which was fun. 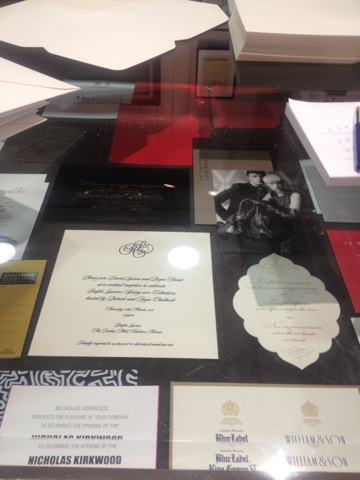 I would told the invites would be heavy but my god! Heavy doesn't even come close! If you had met me on the tube ride back it would not have been pleasant! Once back at the office Chelsey taught me taught me how to put packages from a brief together. I loved it and found it so interesting & creative. I finished the day by researching which of our models we could use in out runway show and calling brands & photograpghers telling them about our best girls in town at the moment. The day began with me finishing off the LookBooks I started on Tuesday. A few of the models came into the office and I had to record them each saying a little introuduction about themselves to send to a clinet. It's amazing how shy people get when they know the camera is rolling for real. 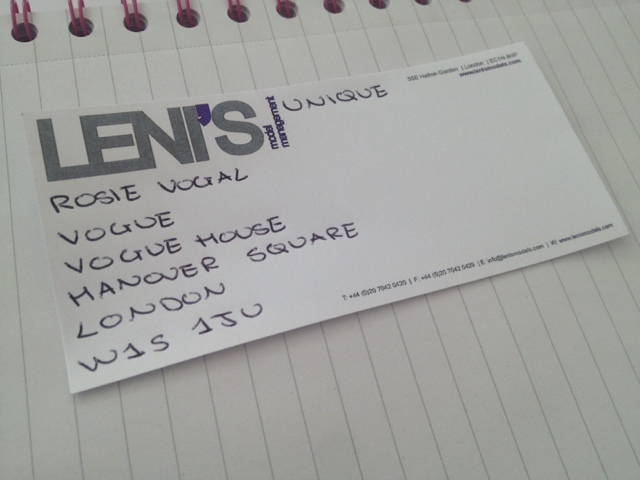 The afternoon was spent starting the big task of finding and confirming the postal address of all the labels showing at London Fashion Week so we can send out showcases to them. The showcases came into the offices which everyone got very excited about! Friday was my last day so to say thank you to the team I brought in cookies & muffins to say thank you and keep everyone going during the LFW prep. The day was all about finishing out list of contacts to send the showplaces to. Not going to lie it was quite intimidating ringing up Burberry and Jonathan Saunders. They were lovely but there are a lot of rude people on the phone, especially if you pronounce theirs or the designers name wrong - the fashion industry what can you do?! Once the list was finished me and Zayn made up the bag, putting the newspaper in an exclusive Lenis bag with a Lenis Oyster card holder. 5 o'clock came around too quick and before I knew it, it was time to leave. They lovely people got me a card and some chocolates to say thank you and good luck in the future. I thought the best way to celebrate finishing was to take a trip to Oxford street. I brought a jumper from new look - my first autumn purchase. I found the cutest shorts in Pull and bear but managed to talk myself out of buying them which I now regret! 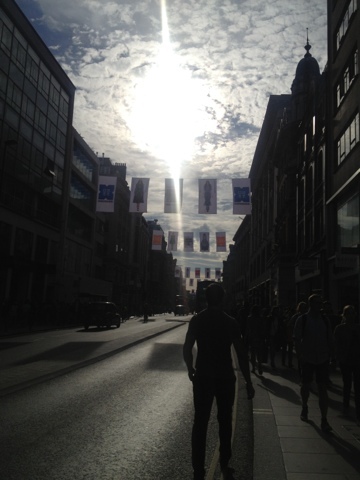 All of London is very excited about the upcoming LFW with signs everywhere - how good does Oxford street?! I thought I'd be helpful and visit the Fabulous offices so I knew where I was going on Monday morning. I don't go well - I went to the wrong station, google maps told me to go to the wrong place and because I took too long I missed my train home. (It don't go much smoother on Monday morning). I've loved the last two weeks. I've learnt a lot and worked with some lovely and funny people. I'm really going to miss the team. Hopefully I'll be back at some point in the future. But no rest for the wicked - time to start my next internship - " Fabulous darling"